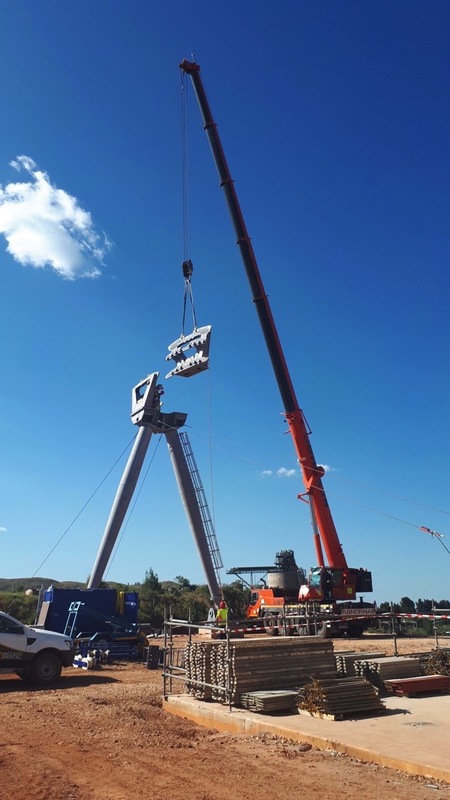 Wolfurt, Austria – Assembly has started for the first of the two Doppelmayr RopeCon® installations for the transport of platinum ore at the Booysendal concession. The South African mining company Booysendal Platinum (Pty) Limited, a subsidiary of Northam Platinum Limited, accesses the platinum ore deposit Booysendal South there. To transport the mined ore to an existing processing plant, Doppelmayr Transport Technology GmbH, headquartered in Austria and a subsidiary of the Doppelmayr group, the world’s leading manufacturer of ropeways, will build a RopeCon® system. After the completion of the foundation works, the actual assembly of the system begins. The system is due to start operations at the beginning of 2019. From then on, it will transport the ore over a length of 4.9 km in steep terrain.